When people look for caravans for sale in North Wales, invariably they have an idea in mind of what they want. Sometimes it’s a budget used van and for others, it’s a brand new luxury Static Caravan with state of the art fitted kitchen, bathrooms, air conditioning, central heating, piped in music and much more. 2. The location of the pitch on the site – for example, whether it is very close to the beach, the size and the views it enjoys. It’s crucial to get the right pitch for your holiday home because, although it is possible to transport the van elsewhere, it’s expensive to move it. Static Caravans for sale in North Wales can be purchased directly from the owner or holiday park in situ and if you like the pitch, it’s great because you don’t have to spend time looking for one. 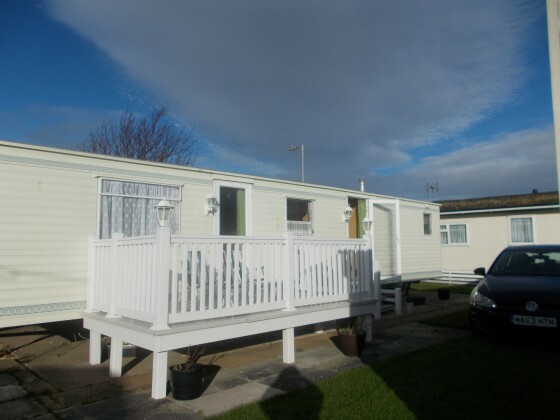 Caravan dealers often have connections with holiday parks too and will often do a deal where the pitch fees for perhaps a year are included in the purchase price. Reputable caravan dealers will not show you pitches that are likely to become waterlogged and will do the best they can to ensure the Static Caravan pitch you have on your wish list is what you get, subject to budget restrictions. And all those offered by dealers will have water and electricity available for the caravan. Often potential purchasers like to have decking around the van and this may be included in the purchase price. If it isn’t, shop around. Stepping out onto decking is infinitely preferable to your feet getting muddy when it rains! Some caravan owners like to do a bit of gardening when they are on holiday, but they are usually people who use their holiday home a lot. If you don’t intend to it’s best not to have a garden on your wish list. Many owners rent their caravans out when they are not using them and you can be assured that holidaymakers won’t want to tend a garden. However, if you really can’t live without flower beds or ornate plant pots you can usually find a local gardener or have the park maintenance staff look after your plants. This will naturally be an extra cost. We would love to hear what caravan owners in North Wales looked for when deciding on a Static Caravan pitch and any funny or not so humorous tales about anything to do with your caravan holiday experiences.